Really enjoyed this. Reckon it must be the best movie Ricky Gervais has done – the stories behind ‘Ghost Town’ and ‘The Invention of Lying’ along with bad reviews put me off so much I didn’t bother with them. However this one works as a bittersweet drama with a degree of comedy very much in the style of 'The Office' – in a good way. It struck a chord with me about small town mentality and wanting to see the world. It also shows how scarily narrow minded and racist our parents and grandparents generations could be - without necessarily realizing it. The young cast of unknowns were excellent and complemented the bigger names such as Ralph Fiennes. Plus a lot of it was filmed on the Great Central Railway, Loughborough. 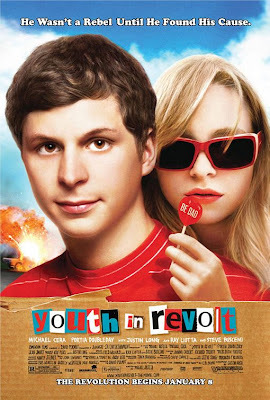 Michael Cera again playing a geeky loser – not that he is typecast – at lease he does it well! A very quirky take on having a dangerous, daring alter-ego as he goes all out to impress the girl, blowing up half the town along the way! 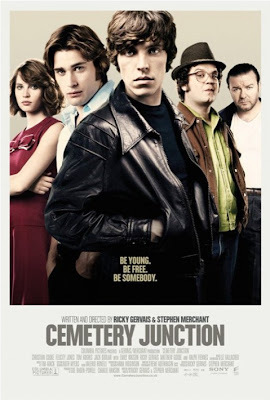 What impressed me the most about this was the strong supporting cast – I was crying with laughter when Steve Buscemi opens the front door and walks in on the gang who are all completely f****d on mushrooms! Offbeat, out of the mainstream comedy done well. Made a mental note to see this ages ago as it was recommended by Charlie Fink who wrote the soundtrack (Noah and the Whale) on his blog and at a gig I went to at the Camden Roundhouse a little while back. 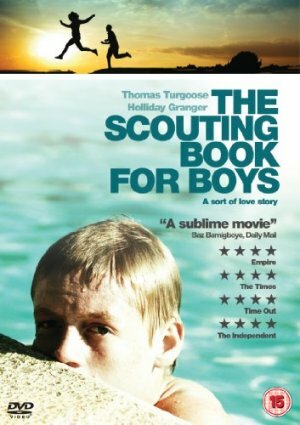 Thomas Turgoose stars in his first non Shane Meadows film, about two semi-delinquent kids who permanently live on a caravan park in Norfolk. What starts off as a teenage runaway story takes a very unexpected and sinister twist at the end. A quite disturbing and intense movie but well acted and a good advertisement for the British Film Foundation/Channel 4/Lottery funded arts projects.